An operating system is a large program that will manage the hardware in a computer. Many people refer to it as the OS. It also helps manage various aspects of the computer. Most of the software designed today is created with a certain operating system in mind. 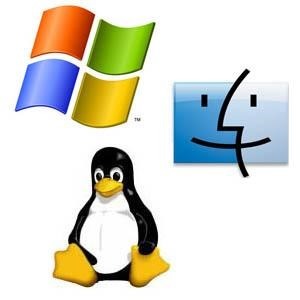 For example, if you purchase software for Microsoft Windows it will not work with Linux or Mac OS. When you purchase software it will tell you what software it works with. Furthermore, it is also possible that certain software will only work with certain versions of a given operating system. For example, a piece of software written for Microsoft Windows 7 may not work with Windows 8 or Windows 10. Many software vendors will upgrade their software to work with newer version of software, however. You may even be able to upgrade your current software version if your license allows it. Mac OS is usually only compatible with Mac hardware. Windows and Linux can install on most Intel and AMD based systems. There are alternative installation methods to get these operating systems on all manner of hardware, but that is advanced knowledge that is beyond the scope of this article.